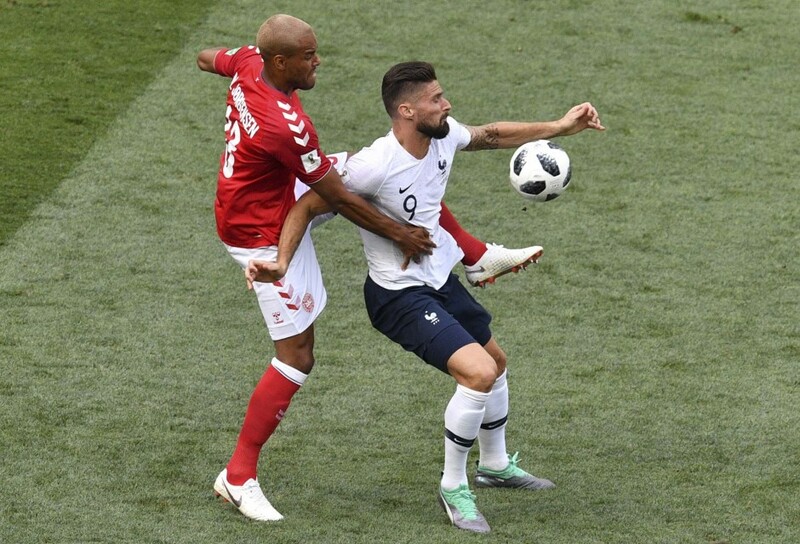 France and Denmark produced the World’s Cup first 0-0 draw, amid boos and hostile whistles from the unhappy fans neutrals or not. 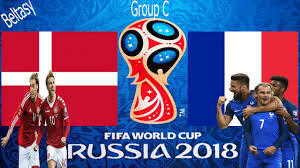 It was the longest a World Cup had gone without a goalless draw (since 1954,) but both teams seemed quite happy from the result, Denmark protecting its one point qualification and France by resting six starters. France’s first-choice goalkeeper and Captain, Hugo Lloris, was benched, as his teammates Paul Pogba and Blaise Matuidi. 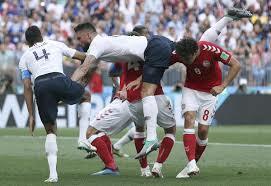 The Danes tough defence (gk Kasper Schmeichel and veteran captain Simon Kjaer) made it difficult to score and certainly “the beautiful game” was not in their match plans. A first half of rare chances, then a second one with even less, could almost entice the spectators to a rightful siesta; NGolo Kanté was the official FIFA man, but one might think that he was chosen just because they had to. Fékir and Mbappé (subs)were a breath of fresh air in a game that the unfortunate supporters will or won’t forget, depending their rage level. Denmark’s Yussuf Poulsen(suspended) was replaced by Martin Braithwait while the unfortunate William Kvist was definitely out of the tournament after breaking two ribs and suffering a punctured lung in the game against Peru. Didier Deschamps made six changes: Steve Mandanda(gk) , Raphael Sidibé, Presnel Kimpembé, Ousmane Démbélé, Steven NZonzi and Thomas Lemar. 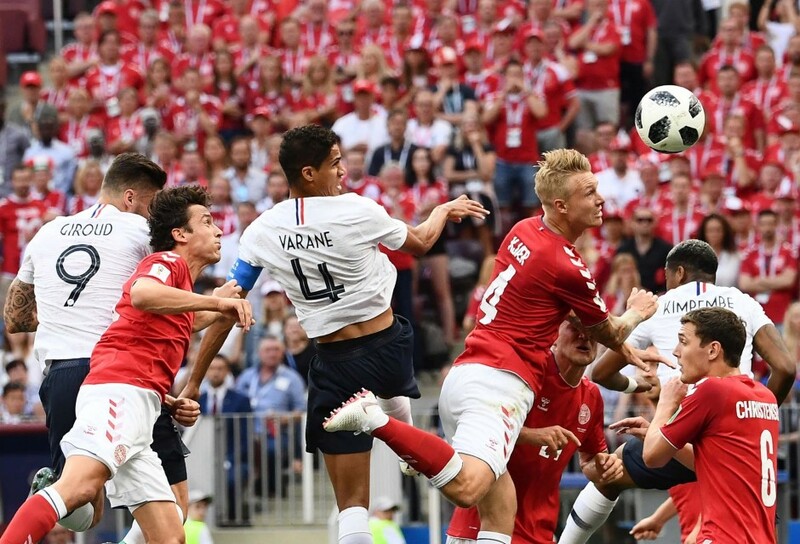 Denmark made France’s life difficult almost from the beginning by sitting so deep, that they had very often their whole squad behind the ball , while the french team showed a déjà vu luck of imagination /creativity. A very strange game, indeed. The jeers of the paying public, mostly Russians grew crescendo as time went by…some French and Dane supporters tried in vain to quiet them by chanting their songs, but their effort was doomed; the public was obviously fed up from the players ‘ game of nothingness! Will France still be one of the tournament’s favorite after their laboured win over Australia, their narrow victory against Peru and that awful display versus a team who refused to play, or was it so difficult for France to take over the game and make an honorable result out of it ? As the Luzhniki Stadium‘s jeers marred the “beautiful game” what were thinking the managers of that disgraceful game?